Manual field counts require more labor than automatic technologies, but they can collect deeper data about demographics and helmet use. Both forms of monitoring are necessary to give a complete picture of bicycle and pedestrian traffic in the state. To prepare for a multimodal future, state agencies must be able to plan and engineer a transportation system for all modes of transportation, including bicycle and pedestrian traffic. 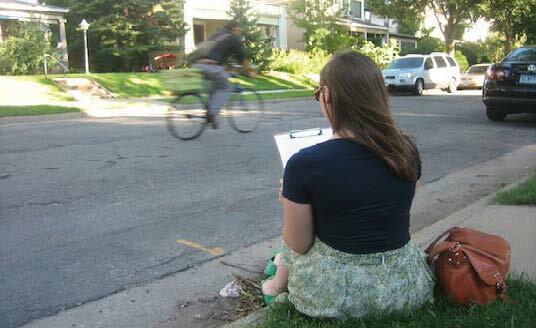 The Minnesota Bicycle and Pedestrian Counting Initiative was launched to develop consistent methods for monitoring non-motorized traffic across the state. Researchers developed guidelines for manual counts using state and national examples, and they also created methods for extrapolating annual traffic volumes from short-duration automated counts, for integration into MnDOT’s vehicular count database program. The guidance developed for manual counts includes forms, training materials, public information for passers-by, links to smartphone applications that provide counting locations and spreadsheets for reporting results. MnDOT hosted six workshops and a webinar to introduce local officials to the initiative and recruit participants for pilot field counts. Researchers then analyzed how these field counts could be used with existing automated counts to extrapolate daily or annual data. MnDOT has installed some of the very first automated counting equipment on a state road — Central Avenue NE in Minneapolis (on the bike lane) and Highway 13 in Eagan (on a shoulder). As of 2012, six agencies in Minnesota counted non-motorized traffic (annual reports are available from the city of Minneapolis and Transit for Livable Communities), and even though comprehensive data is not yet available, Minnesota is a leader in this type of monitoring with more than 1,000 manual count locations and 32 automatic count sites. Because of Minnesota’s experience, researchers collaborated with the National Cooperative Highway Research Program’s national Methodologies and Technologies for Collecting Pedestrian and Bicycle Volume Data research project, due for release in 2014, and contributed to the Federal Highway Administration’s effort to update its Traffic Monitoring Guide to include a chapter on non-motorized traffic.